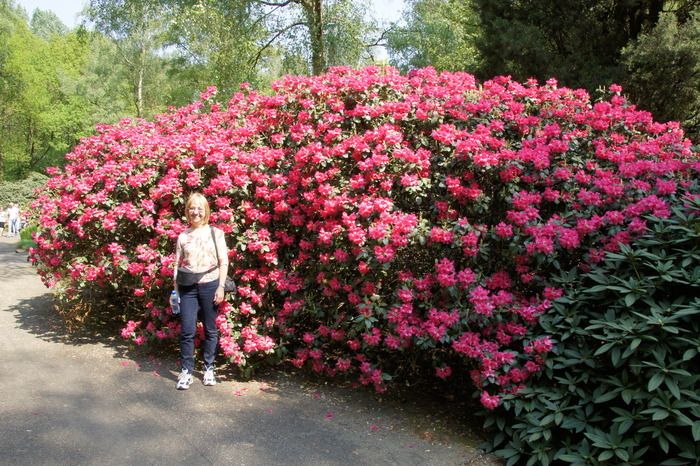 This year my mom came to visit, her first trip to Europe. We had beautiul weather, so naturally we had to go see the windmills. Obligatory tourist shot at the Zaanse Schans. 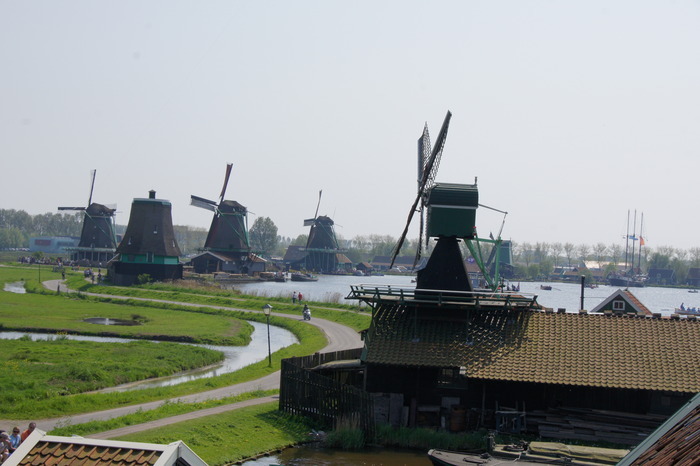 The Zaanse Schans was the industrial center of the Netherlands from the mid-1600's to the early 1900's, when steam power eclipsed the wind as the engine of industry. 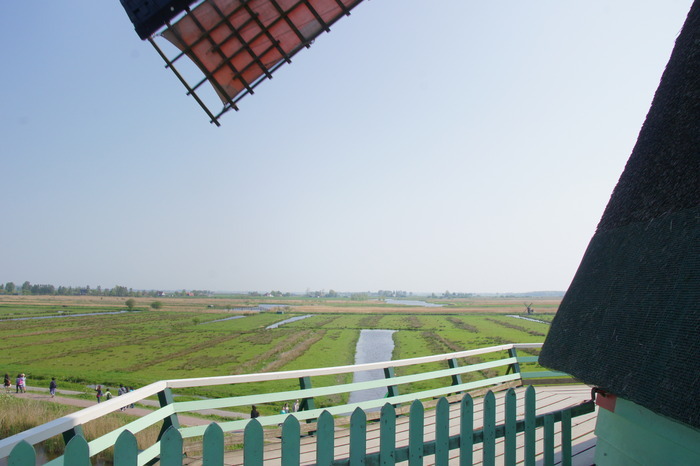 During this time, hundreds of mills were built on the flat land of the Zaanse Schans. Most fell into disrepair and were torn down. 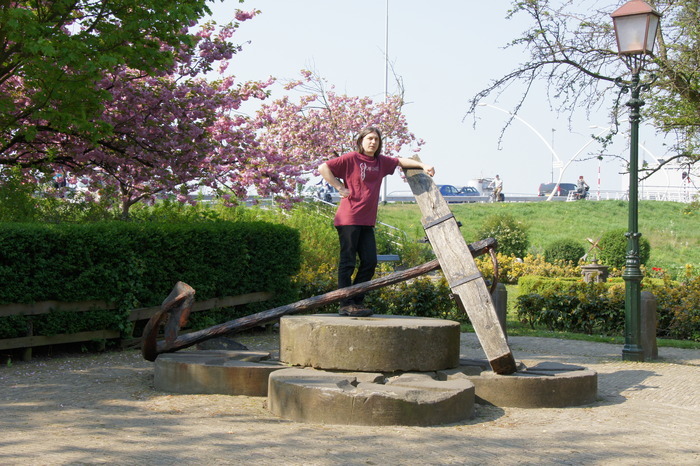 Eric with two typical symbols of Dutch history: millstones and an anchor. 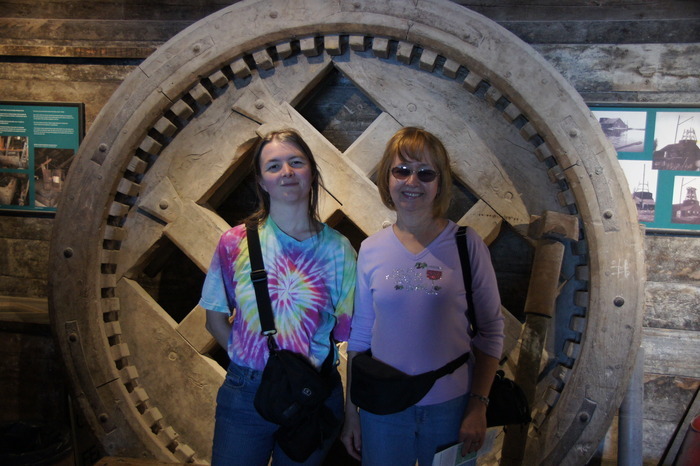 Me and mom by a spare bit from De Kat, the only remaining paint mill in the world. De Kat was originally an oil mill, but in 1960 the interior of the paint mill De Duinjager ( The Dune Hunter ) was placed in the shell of De Kat. Ground floor, and ground chalk. 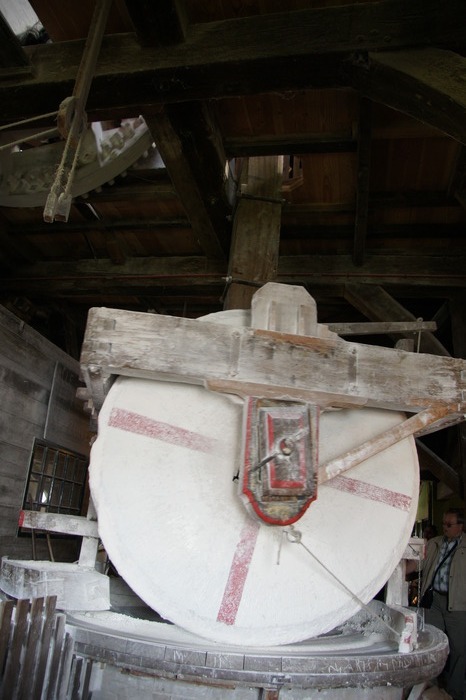 The wooden beam in the middle rotates clockwise, turning the giant stone wheels which crush the chalk to a powder. View from the balcony of De Kat. Second floor, very complex gearing. The mill is set up to do a lot more than just turn the two stone wheels. 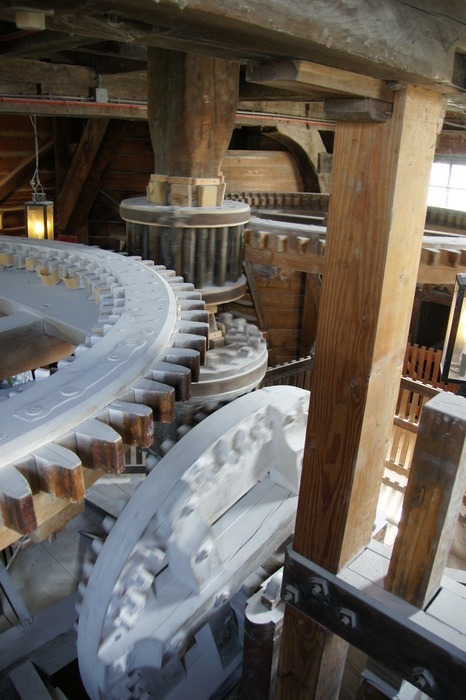 The large horizontal gear which is being spun by the middle shaft is all that's needed for that job. 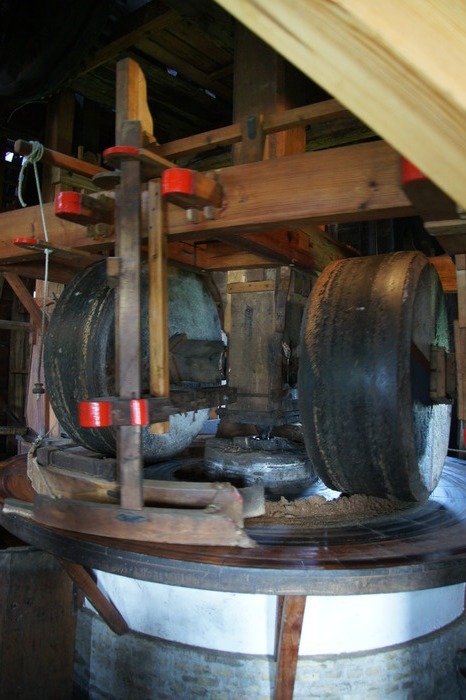 The second horizontal gear is hooked up to a second set of stone wheels, disengaged at the moment. The other gears are set to power other things on demand, such as a set of chisels the size of my arm to break up larger pieces of rock. 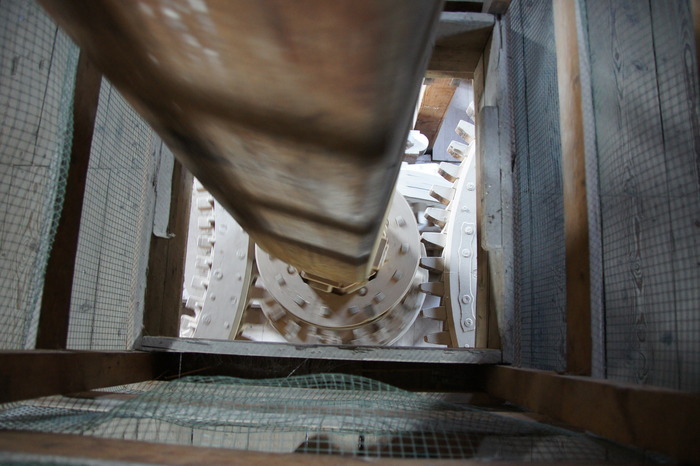 Looking down the main shaft. The top floor is off limits to tourists, but a camera can be wiggled up through the grate. The big gear at the top of the picture is hooked directly to the sails outside. It spins the wheel in the middle, which is hooked to the central beam powering everything downstairs. The first part looks much like De Kat - two big stone wheels crushing something to a powder. In this case the something is linseed. The result is something that looks like Malt O Meal - a coarse powder, not at all oily. This is roasted on an iron plate for 15 minutes, stirred by wind power. 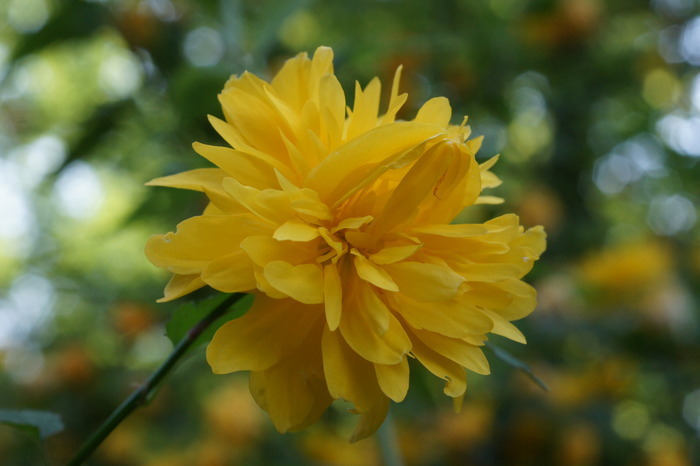 This is then scraped into a tube-like wool sack, laced down one edge. 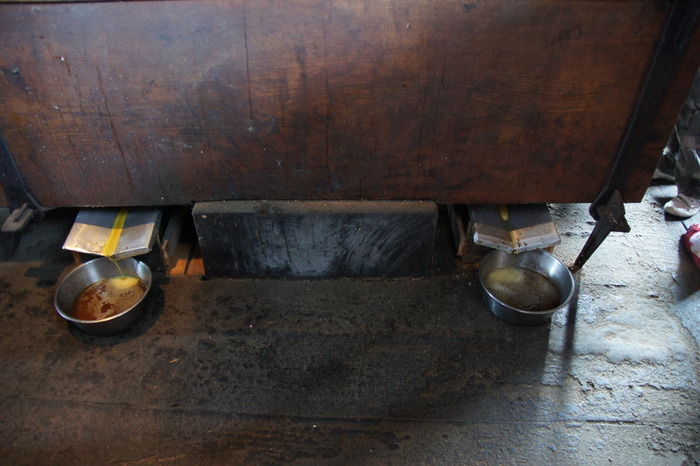 The sack is placed between two plates, which sit next to a wedge. 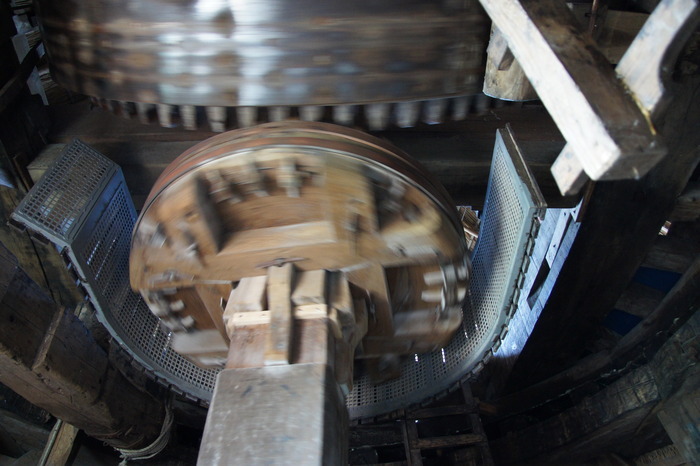 The operator then engages another gear, which catches a peg on an enormous block of wood. The wind drags the block up about three feet, and then the peg drops off the gear, sending the block hammering down into the wedge. This repeats every few seconds. After a few minutes, oil begins to drip out. The hammering continues another ten minutes or so, then the machinery is disengaged and a flat cake pulled out of the wool case like a sweaty foot out of a sport sock. 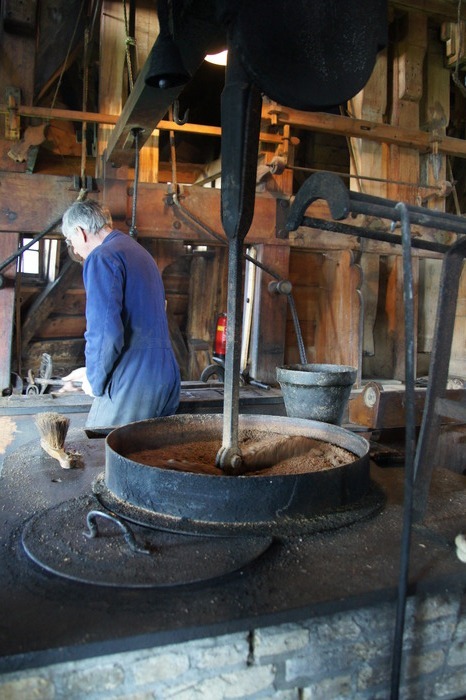 In industrial days, the cake would have been broken up, roasted, and pressed again. In either case, when it is pressed for the last time, it can be used for animal feed. The view from De Bonte Hen. Note the three-mast ship to the far right. 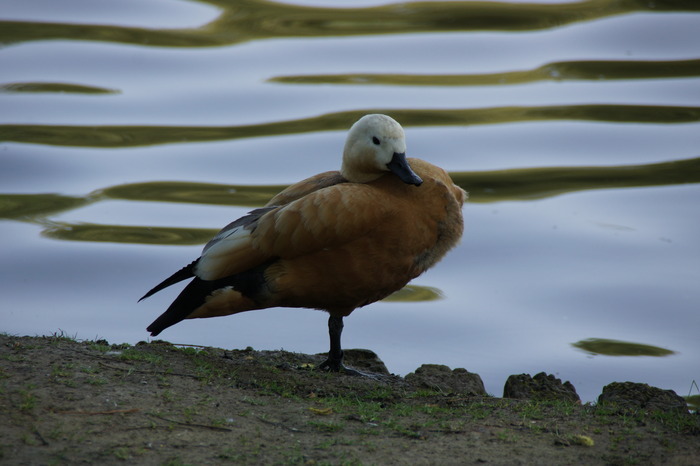 It may not be The Motley Crew, but this is a mutley duck. Mama duck with duckling, hiding in the grass. 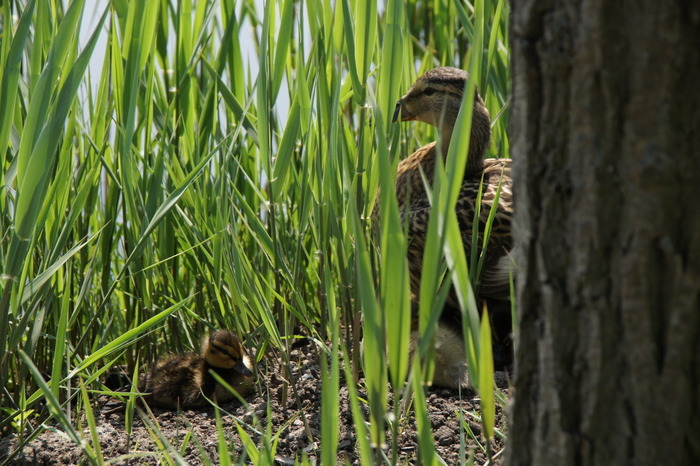 There are more ducklings, but they were not all visible at once. 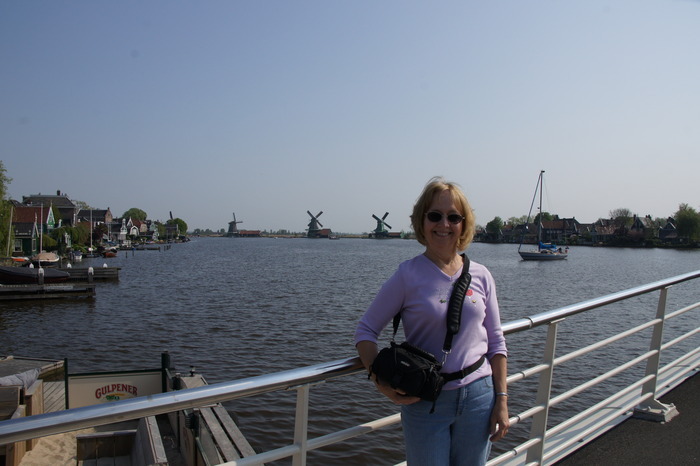 Our next stop was the Zaanse museum. 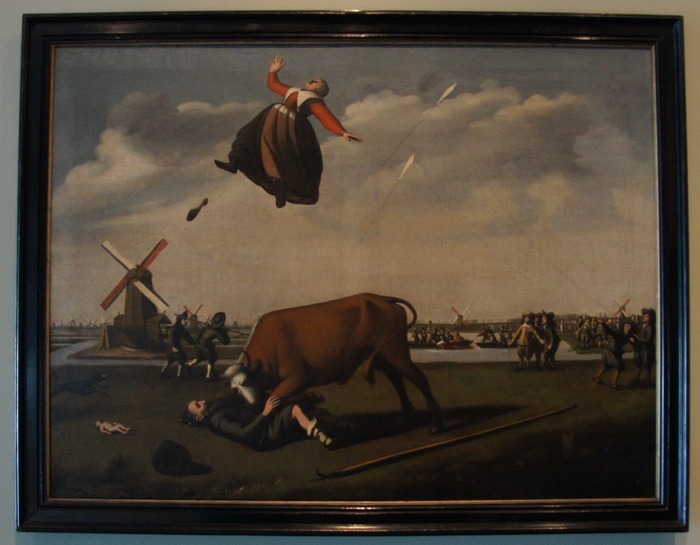 This painting is of De Stiers Wreedheid or The Bull's Cruelty, reflecting a bizarre incident in 1647 where a bull was startled by a kite and charged a man and his very pregnant wife, killing them both and tearing the baby from its mother's womb. Miraculously, the child survived. 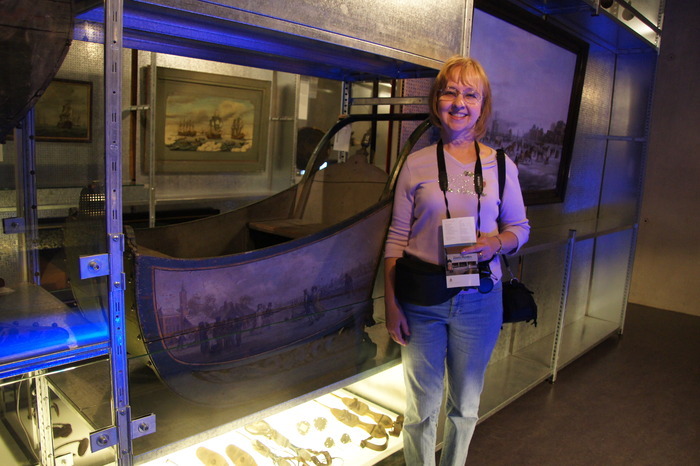 The museum holds depecitions of the scene on teacups, cigar boxes, and every other imagingable item. It appears as a distant detail out of the window of portraits. One gets the impression that, for a while at least, 17th century Zaandam was obsessed with the tragedy and its unlikely survivor. Man onder de beer, Man Under the Bear , depicting another cheerful scene from Dutch history. 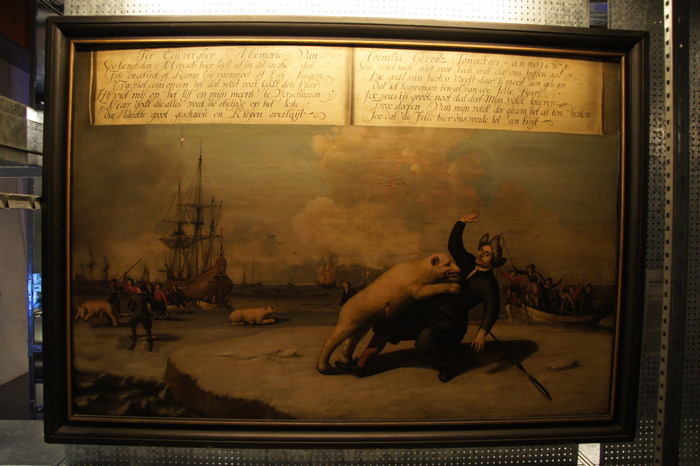 A whale hunter was attacked by a polar bear, which he had taken for dead (note that all the bears in the painting are wounded). Notably, the artist clearly had never seen a polar bear, and clearly did not believe the whale fishermen when they told him how big one is. A male polar bear stands about 1.5 meters (5 feet) at the shoulder. 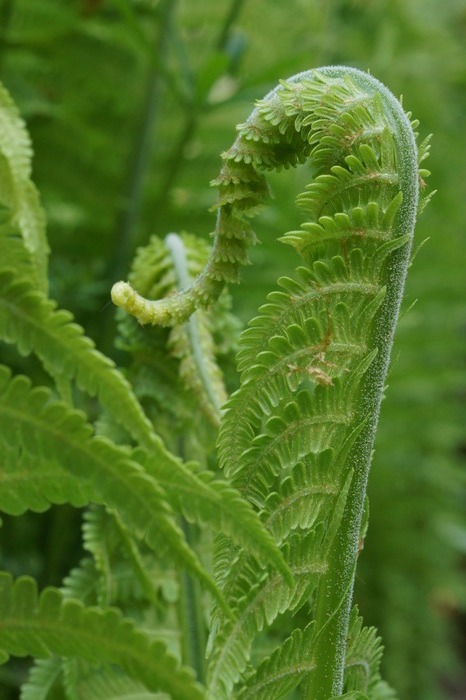 A male on its hind legs can stand three meters (ten feet) tall. Not all Dutch paintings are grim. 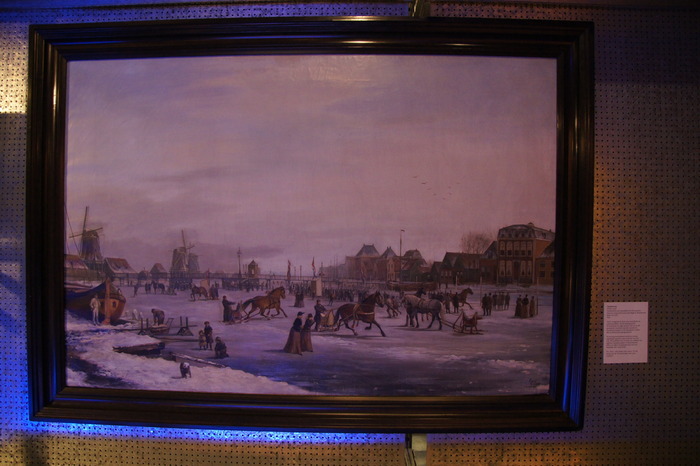 This painting depicts sleigh rides on the frozen river Zaan. 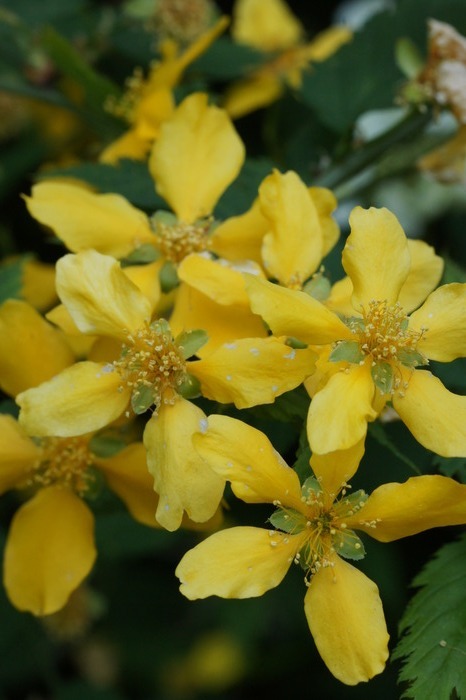 And, next to it, one of the small sleighs of the same time. 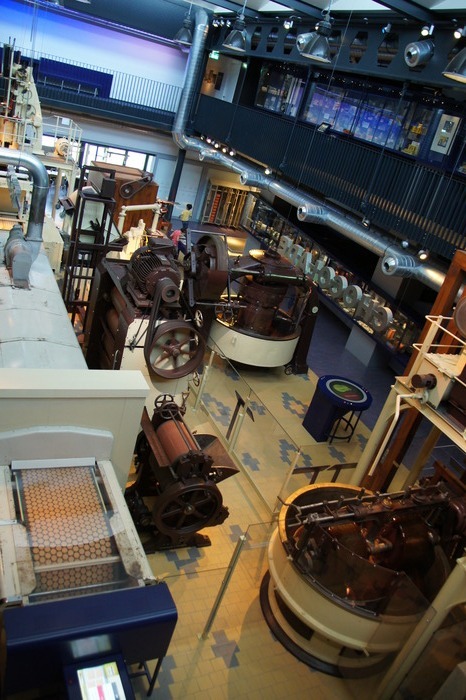 Cacao is another item which was crushed in the Zaanse mills. Verkade chocolate still finds its home in this area, although this factory is for display purposes only. They do infuse the air with an authentic chocolate smell though. 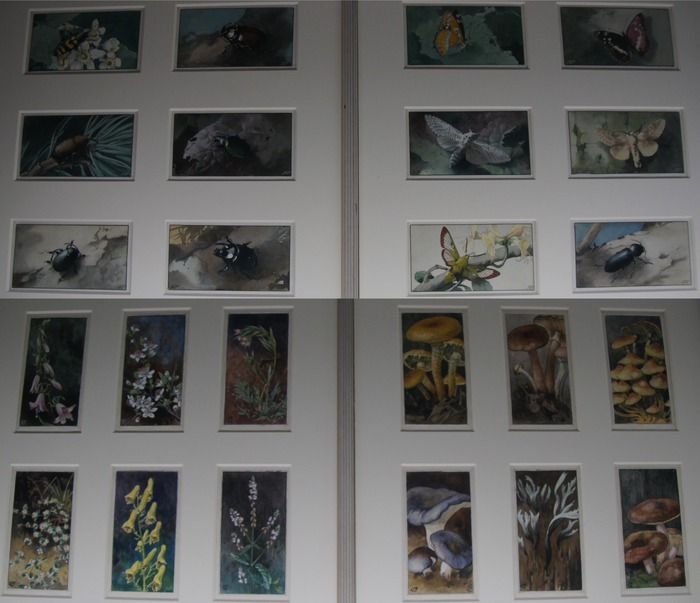 Plates from my turn-of-the-century Dutch predecessor, Jac P. Thijsse. 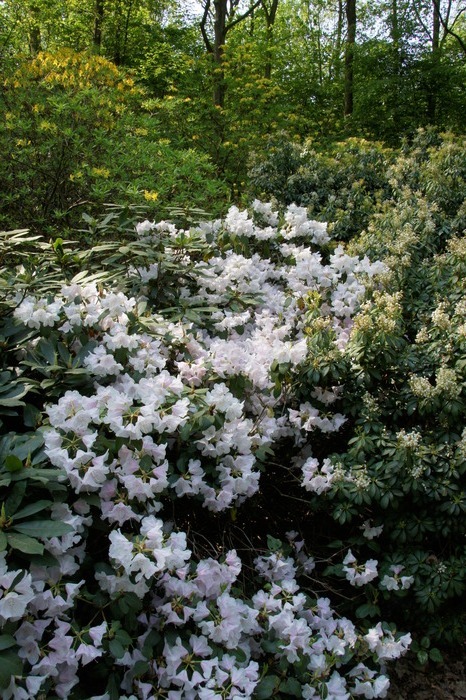 These were from volume four of Bosch en Heide (Forest and Heath). 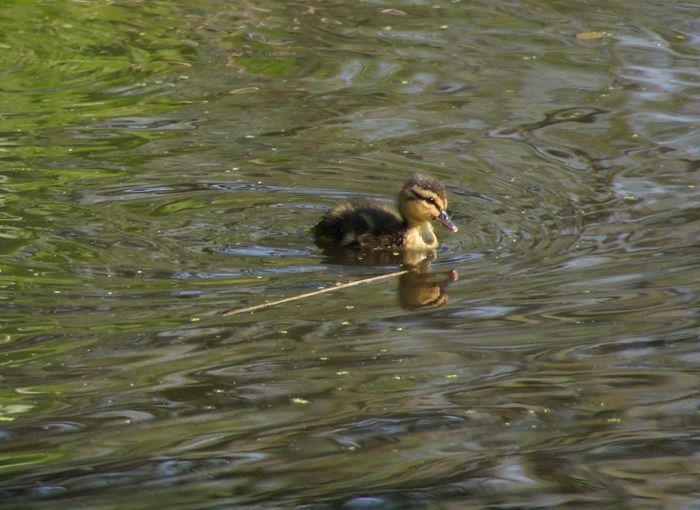 Baby duck, vastly cute in the sunshine. 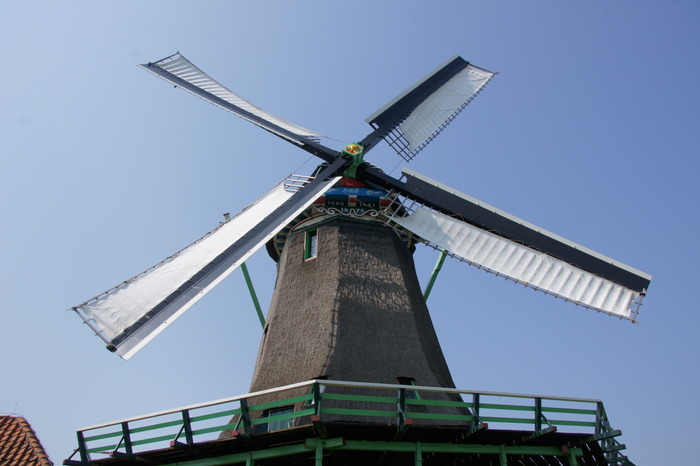 Another Zaanse windmill, De Bleke Dood - The White Death. This was not just a grim name. 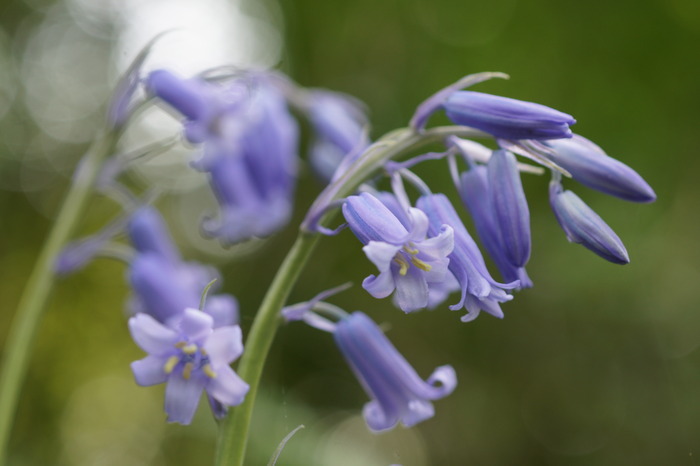 Life as a 17th century Dutch millworker meant working 16 hour shifts, without heat, and under constant threat of a fire starting in the wood and thatch mills. 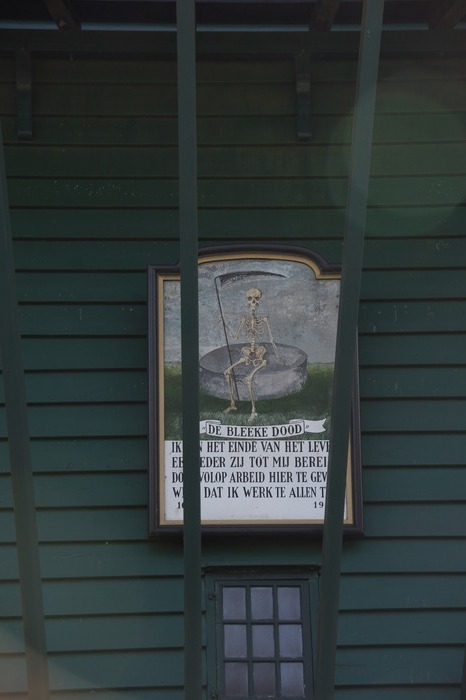 The inscription reads, Ik ben het eind van het leven, een ieder zij tot mij bereid, door volop arbeid hier te geven, weet dat ik werk te allen tijd. Poorly translated: I am the end of life, and everyone comes to me, through full time work given here, know that I work at all times. Back in Amsterdam, in the Amstelpark. 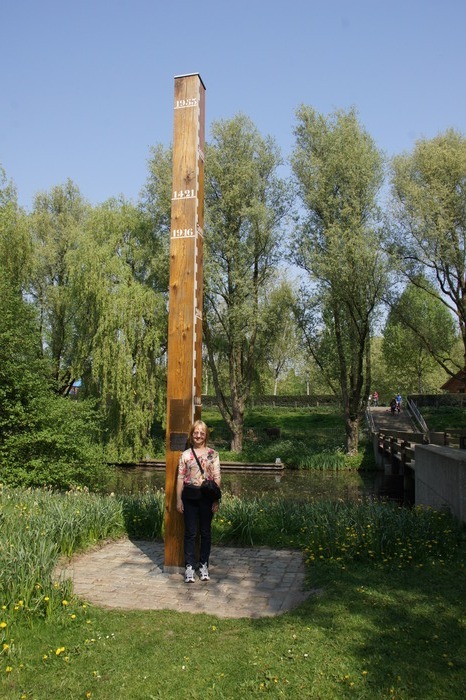 Mom standing next to a pole showing the height of flood waters. In 1953, at the top, the water was 4.6 meters over the normal level. 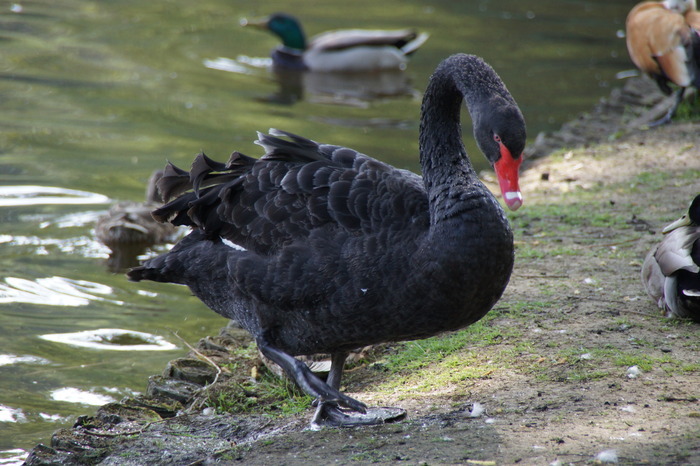 All swans are white was a common metaphor for a universally-known truth, until a black one was discovered in 1697. 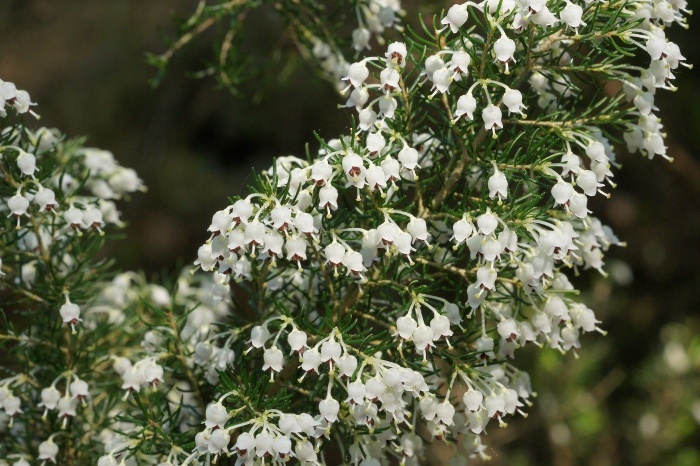 They are actually quite common in Australia (which, in 1697, was still called New Holland). 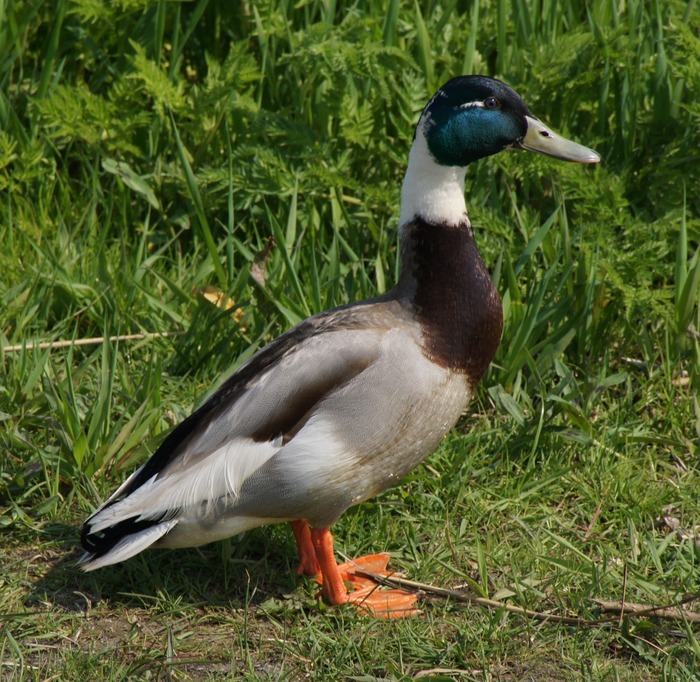 Duck of uncertain parentage. 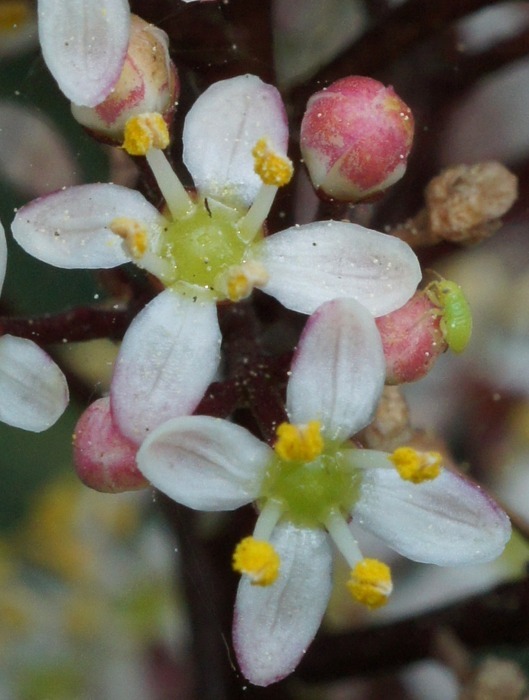 I can't find the species; it could easily be a mix of some kind.